The aspirational ideas expressed in the strategic plan must now become operational actions. Some initiatives are already underway, like the Winn Science Center and the Character & Leadership Education Program. Others will come online and continue to grow as new committees and teams are formed. 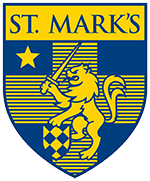 In the coming months and years, St. Mark's will update the community regularly with the progress being made and the incredible new opportunities happening on campus.